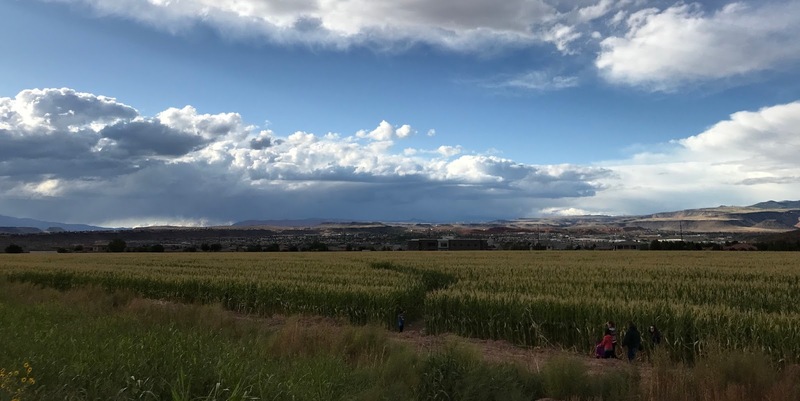 Southern Utah Attractions: Fall Attractions at Staheli Family Farm! Fall Attractions at Staheli Family Farm! The attractions at Staheli Farm are up and running! This was the first year we went to the corn maize with a child of our own and it was so much more fun than it has been in the past. The farmland is great for kids. They have lots of animals, rubber duck races, swings, slides, and so much more! There is a regular corn maize and a haunted corn maize called Field of Screams! Field of Screams opens September 30th. The Field of Screams is an attraction for older kids, teenagers and adults. Are your little ones wanting something a little spooky? They can try the Spooky Trick or Treat Trail! This opens October 5th and is great for toddlers and up! The pumpkin patch opens October 2nd. Witches Night Out is happening twice this season! October 12th and 19th are the dates so mark your calendars, grab your girlfriends and get your witch costumes ready! There will be live entertainment, food and contests! There are three mornings this season for Waffles & Witches! This is a fun breakfast for your little ones. October 13th, 20th and 21st are the days! There are two times to choose from: 9 am and 11 am.